We are going to need a little more information than just a picture. Do you mean that you cannot turn it on? It is turned on but cannot find a network to try and join? Please expand on your previous post. 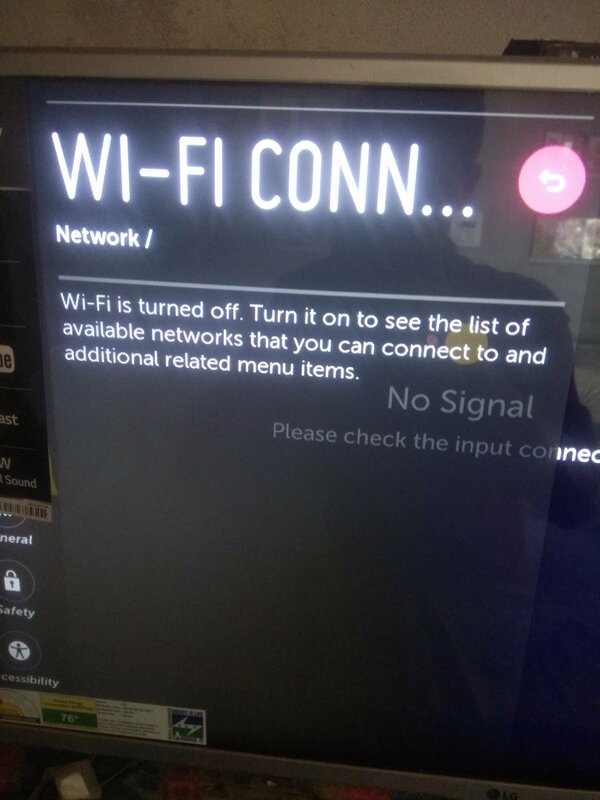 If you are losing your connection to WiFi every now and then you might find things work better if you give your TV a static IP address. I did when I was using a BT Smart Hub to provide my internet connection. To change to a static IP just untick 'auto' in the WiFi settings. You can either try leaving the settings with the same values that were assigned automatically before or change the IP address to one outside the normal range your router assigns by DHCP but still in the same subnet.